We help job seekers in the Sutherland Shire stand out! Locally owned and operated Resume Writer for the Shire. Whether you are a student, a graduate, or someone ramping up or winding down your work life, today’s job market is competitive and to get ahead, your job application must sell why you are the best person for the job! Having assisted hundreds of clients to achieve that, Ray is a trusted local resume writer who uses a professional and friendly process to write great documents at good value for money price. Whether it be making a resume more professional or a cover letter that engages with the reader to tell the story of ‘why me’, you can trust Ray to make you more competitive with your supply chain, sales and marketing, building and trades, ICT, administration, or engineering career. The process is professional, quick and friendly. We start by making a face to face or phone meeting to review what you have done in the past and where you want your career to go in the future. We then use this information to shape your professional story to demonstrate to recruiters, HR and hiring managers why you have the right skills for the job. We can also help make your LinkedIn Profile work harder for you. We write keyword rich LinkedIn profiles that compliment your resume and cover letter to demonstrate the value you bring to the market in a concise and engaging manner. Ray also works closely with clients expressing interest in government sector roles tailoring high performance submissions highlighting examples of skills to tell your story powerfully and professionally. If you would like to draw on over 3 decades of experience to help you Perform Better feel free to make contact with Ray on 0469 711 653 for a no obligation discussion. I worked with Ray on having my resume and cover letter up to scratch. Literally within the first week of having my new resume I started getting call backs! It was great! Ray was always so helpful by giving advice and helping me with any necessary changes, I'm so glad I went with this company! I thought my resume and cover letter were pretty good until I saw what Ray produced for me. It made me realise why I was not getting any interest. With Ray's resume magic and helpful tips the phone started to ring. Thanks Ray for helping me get back into the land of paid employment. Whilst the resume and cover letter Ray produced were great a relationship with Ray is more than just a product that gets results. Ray genuinely cares and has provided me with valuable coaching and advice since I first got him to write my resume. I still utilise his coaching skills when I need advice I can trust about my career decisions. Ray is very obliging and always makes me feel like I could rule the world. I highly recommend Ray for resume and coaching services. It was a pleasure working with Ray; he is an expert in this field and a real creative thinker. Ray offered me invaluable career guidance and advice, and really helped structure my resume in a way that made it stand out. I'd recommend Ray to anyone, thanks Ray! It was an absolute pleasure working with Ray, I highly recommend his services, he went out of his way to meet me and talk to me out of hours. Ray tirelessly worked through my CV, covering letters and LinkedIn profile well into the late evenings on many occasions, the outcome is a true testament to the quality work he guaranteed. Once again thanks for all the effort. I approached Ray through a friend of mine to help me construct a professional resume. I found Ray to be engaging, cooperative with a nice friendly nature. I felt the one that I had put together myself was a little too old and out of fashion and not up to date in terms of professionalism that is required in this competitive market we operate in today. Ray used layout and content with bullets points to convey a succinct powerful message that was extremely easy to read and follow. Ray was first class on this project and the comments I have received are excellent and this certainly got me in front of prospective employers when looking for work...I am now employed. I would have no hesitation in recommending Ray to anybody who is thinking of updating their resume. I am a Sales Professional who asked Ray at Successful Resumes to review my resume. My resume was 10 years old and badly needed the professional touch. Ray was really prompt. He adopted a simple approach. Within 2 days he made my old resume look like a brand new document. It was professional looking and certainly one that made my skills and attributes stand out. Plus he drafted a professional cover letter and updated my LinkedIn profile. All done in quick time. I can't speak highly enough for Successful Resumes. It was terrific value for money. My profession covers both financial services and information technology and I was particularly impressed at how Ray was able to understand and articulate my skills and experience into a succinct and effective document. What you get with Ray is much more than just a resume writer; you will get someone who will listen to your story and craft a CV that represents who you are and what you bring to the table. Thank you Ray. I recently retained Ray’s services to update my resume as I prepared to take the next step in my career. 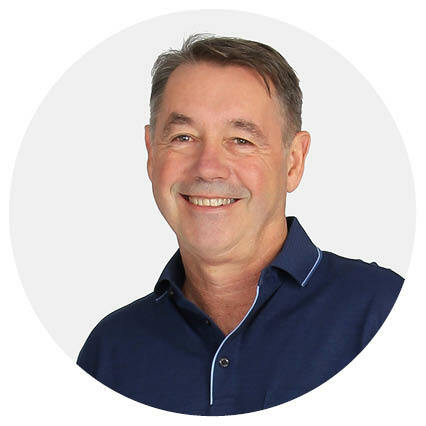 Not only is Ray friendly, professional and a pleasure to work with, he is also extremely knowledgeable and has a practical understanding of the mentality of an employer. The entire process was simple and painless and represents excellent value for money.